Just though I'd write a poem for one of my character in my book "Life Is A Story"
Not the best writer but, yeah, I'll keep on trying!! The moon will never shine like the sun. Not even like a star in the farthest distance. But I'll always be there in the darkest hours. I'm a coward seeking refuge but afraid of losing my only hope. Still, how can you make me feel like this? 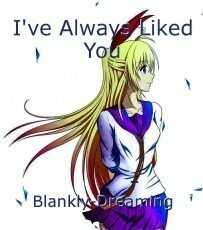 © Copyright 2019 Blankly-Dreaming. All rights reserved. Encore! Encore! This man's poem is amazing! It's a habit of mine to analyze and understand the meaning of a poem so here's what I think this means. "It's about two friend who knew each other for forever. The other one just so happens to have always liked her and is afraid that his love may ruin their happiness or friendship". I think that's what it's trying to say, I dunno. All I know is that I love it and. Hahaha wow!!! I'm so happy someone understood the meaning. I'm so nervous when I put this out because, well, its done by me. So thank you!!! Hahaha for enjoying it!! I'm glad you liked it. I'll keep that in mind. Thanks! This poem is good, I enjoyed reading it! And I think I also got what you are trying to convey here. A great poem! Happy Writing!!! I'm really glad you enjoyed it and that you got the meaning hahaha. I thought it is hard to get it because of my writing. Thanks! I'm not a big poetry fan, but I liked this poem. Of course you know how I feel about romances with friends, you are reading my book. This was good. I like your rhyme scheme. I like it because there's no rhyming! Some people call free-verse being too lazy to think of rhymes, but I think it's a way to appeal to the emotional side of the reader. By not having strict patterns, you can just say what you want and convey your ideas without rules. Yours is no exception! Oh gawd, hahaha, I think you're over exaggerating hahaha. But thanks anyways! I don't really know, I just write whatever I feel like hahaha and if it sounds good and conveys what I wanna day then yeah, good enough for me hahaha. I found you again! I absolutely love this poem. It was one of the first poems I ever read on this site. I always remembered my favorite line: "whose armor is rusted..." brilliant!